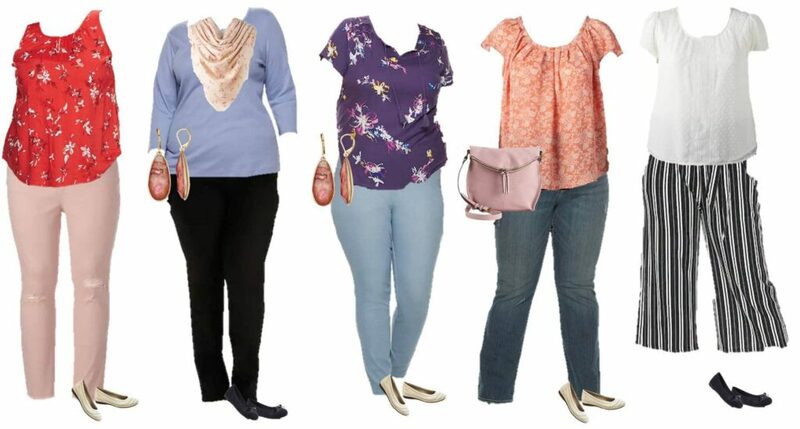 With just a few inexpensive and fashionable separates, you can create a capsule wardrobe with Kohl’s Plus Size styles. 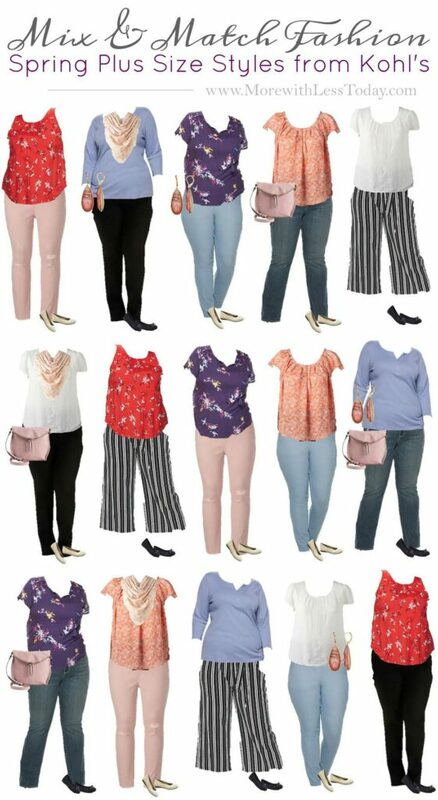 This is such a smart way to shop and put together outfits. We have affiliate relationships which means we may earn a small referral commission at no additional cost to you if you shop using our links. You can downsize your clothes, a la Marie Kondo and have more things to wear when you put together a small collection of great looking clothes that can be mixed and matched to create many different outfits. No longer will you say, “I have nothing to wear” or I don’t know what to pack. Once you have your mix and match items, then getting dressed and looking pulled together is a breeze. 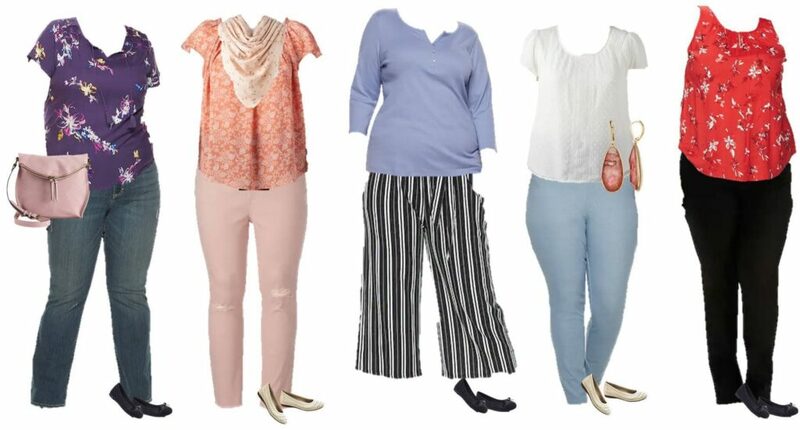 If you love Kohl’s fashion, you will find just what you need to create your outfits. The Kohl’s Capsule Wardrobe here is for a put-together casual look. If you need a more classic, tailored look for work, stay tuned and we plan to make one of those soon!